Van Hoang is a designer based in Nashville, TN. She has a B.F.A. in Fashion Design & Merchandising from O’More College of Design as well as an M.A. in Design for Sustainability from Savannah College of Art & Design. Her aesthetic is modern yet timeless, versatile, and functional. 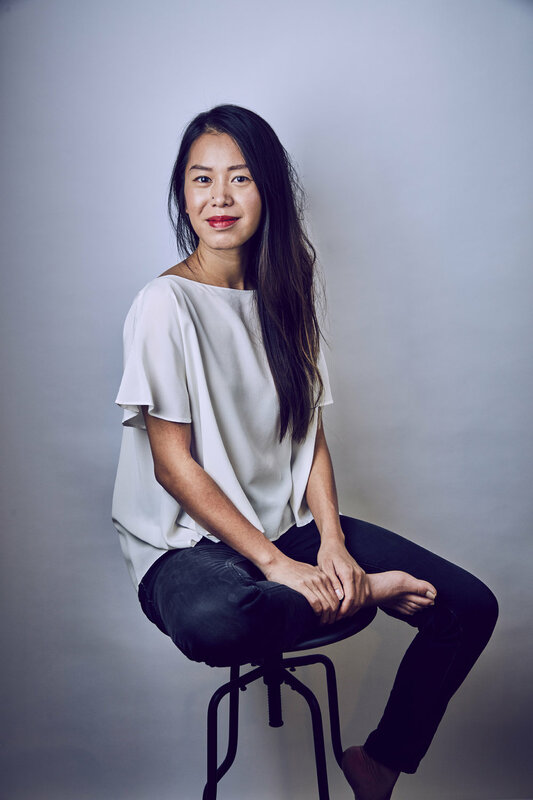 She is interested in the intersection of sustainability, fashion, and technology and how those fields can work together to innovate solutions and break down barriers to create a more sustainable fashion system. Hoang's mission is to offer an alternative to fast fashion that many have become accustomed to. In the past she created one-of-a-kind gowns with intricate craftsmanship and couture techniques. However, she recently launched her namesake high-end ready-to-wear line that is handmade in Nashville and hopes to build a company with sustainability, quality, and community as it’s core values. Hoang showed on the Nashville Fashion Week runway in 2015. Fashion photographer Brett Warren has been named the sixth annual Nashville Fashion Forward Fund recipient by The Community Foundation of Middle Tennessee (CFMT). A committee of the Board of CFMT selected Warren amongst a group of experienced fashion industry applicants with ties to Middle Tennessee. Warren is the first photographer to be selected as a recipient of the Fund. Brett Warren lives in a world where anything is possible. While studying design and photography at MTSU, Brett became passionately inspired to present the world as it could be through images that would appeal to the mind and imagination. What started with a dream and a Nikon Cool Pix has turned into a means to convey emotion, and to share untold stories and convictions. Along the way he found encouragement through a personal encounter with Wayne White, a more-than-serendipitous internship with Annie Leibovitz, and invitations to shoot at New York Fashion Week. Since 2011 he has produced multiple events, spoken at Universities, worked behind the scenes on sets for Vogue, art directed major label music videos, and had his work featured in local and national publications. In addition, Brett has been highly active in the local community by serving on the Nashville Fashion Week Advisory Council, and is an avid supporter of the Nashville fashion community. He has been recognized among his peers, for his “Point of View,” and built long-lasting relationships with those in and out of the fashion world. While he has worked with easily recognized brands such as, Billy Reid, Surface Magazine, and GQ, he is just as passionate about working with some that may not be as familiar…yet. Eric Adler Bornhop was selected as the fifth Nashville Fashion Forward Fund recipient. Bornhop is the first male recipient of the fund and plans to use his award to experience his first New York City trade show. Eric Adler Clothing was born in the mountains of Southern Spain and raised in the hills of Middle Tennessee. In 2012, while living in Spain, he was inspired by street culture to create his own line of clothing. After returning to Nashville, he worked as an apprentice under local legend and fashion designer Manuel Cuevas. Manuel taught Bornhop the art of tailoring and encouraged him to explore his own personal style. Eric developed his own clothing line at night and weekends while working with Manuel. Eric Adler made its debut in 2014 at Nashville Fashion Week after being selected as one of ten featured emerging designers that year. Since then he has opened his own Green Hills studio where he designs and tailors for Alan Jackson, Big Kenny, Shania Twain and more. Hoover is the first accessory designer to be selected as a recipient of the fund. Hoover plans to use her award to travel to Milan, Italy to source leather and explore the possibility of expanding into shoe design and production. Originally from the Outer Banks of North Carolina, Hoover learned to sew using her mother’s sewing machine. While working on a custom pillow for her interior design business, Cooper Grey, she made herself a clutch that received so many compliments she knew she had to make more. After a sample sale in Los Angeles, Ceri Hoover Bags was launched in January 2013. The brand, expanded to include shoes and clothing, can be found in over 150 retails stores nationwide as well as in her flagship boutique in the 12South neighborhood in Nashville and at CeriHoover.com. Ceri Hoover Bags has gained exposure through both local and national press and Hollywood favorites such as Kristin Chenoweth, Jennifer Love Hewitt and Marisa Tomei have been spotted carrying her unique bags. The Community Foundation of Middle Tennessee (CFMT) named Elise Joseph the third annual Nashville Fashion Forward Fund recipient. Joseph was the first stylist and blogger to be selected as a recipient of the fund. Joseph, born and raised in Nashville, has made a name for herself as a stylist, a blogger of her largely followed design blog, Pennyweight, and on Pinterest where she has earned over 1.3 million followers. She has partnered with fashion brands such as Steven Alan, Madewell, Equipment, Need Supply, J.Crew, Gap, Warby Parker and West Elm. Joseph is perhaps best described in the words of one creative director at Madewell: “She has her finger on the pulse of the best indie music, stylish home goods, new shopping destinations – the works. In other words, if it’s artfully cool, you can bet it’s on her well-rounded radar.” She has also been featured on Refinery29, InStyle Magazine, Kinfolk Magazine and Southern Living, and served as Media Director at Nashville’s own imogene + willie. Goodwin, a women’s capsule retail concept launched in September 2016, is the result of her research. Elise partnered with independent, emerging and established artists and designers who share her belief of intentional, thoughtful, and quality design. Each featured piece is uniquely created and produced in limited quantities and available exclusively through the online shop. Lauren Leonard Phelps, the President and Creative Director of LEONA, was chosen as the 2012 Nashville Fashion Forward Fund winner. Leonard was carefully selected from an illustrious group of fashion industry professionals that included designers, hair and clothing stylists, photographers, makeup artists and models. Lauren founded the women’s contemporary apparel brand in 2007 and quickly grew the business from an idea to company through original product design, effective business planning, individual branding, innovative sales techniques, strong leadership, and creative marketing without the benefit of external capital and sold in 200+ specialty boutique retailers. E-commerce launched in 2010 and she opened her flagship store in Nashville in 2012. LEONA was a featured designer at Nashville Fashion Week in the inaugural year of 2011, and again in 2012 and 2013. The Nashville Fashion Forward Fund allowed Leonard to travel to Paris in the spring of 2014 to meet with fabric and trend vendors and to gather inspiration from around the city for her Spring 2015 collection. Lauren closed her business in 2015 when she moved to New York City with her husband. She served as the Chief Operating Officer of BRANDON MAXWELL before launching LaurenPhelps.com to showcase and sell her art. The first Nashville Fashion Forward Fund Award was awarded in 2011. The award recipient was Julianna Bass, a Pulaski, Tennessee native and MTSU alumna who moved to New York City to study fashion and costume design at the Fashion Institute of Technology. She was named designer of the year upon graduation and went on to develop her skills while working at luxury brands Bill Blass, Elie Tahari, Eugenia Kim and Marc Jacobs. Julianna has been awarded placement in the Gen Art Style Awards two years in a row and has executed several successful design collaborations, including the design of a print for Diet Coke that was sold in Target Stores across the U.S.
Julianna attended the Bread and Butter trade show in Berlin, Germany as her Nashville Fashion Forward Award experience. Her primary goal for the experience was to initiate expansion of her eponymous women's clothing line into an international market. She was so taken with the culture, art and fashion of the city that the following year she moved from Brooklyn to Berlin to further develop her creativity and design perspective. "My time in Berlin gave me an incredible mix of freedom and focus." says Bass. I'm able to design from my authentic self." Julianna has since returned to New York City after making her runway presentation debut at New York Fashion Week AW15. Vogue stated "Bass designs speak to the woman who isn't afraid to embrace classic style on her own terms". 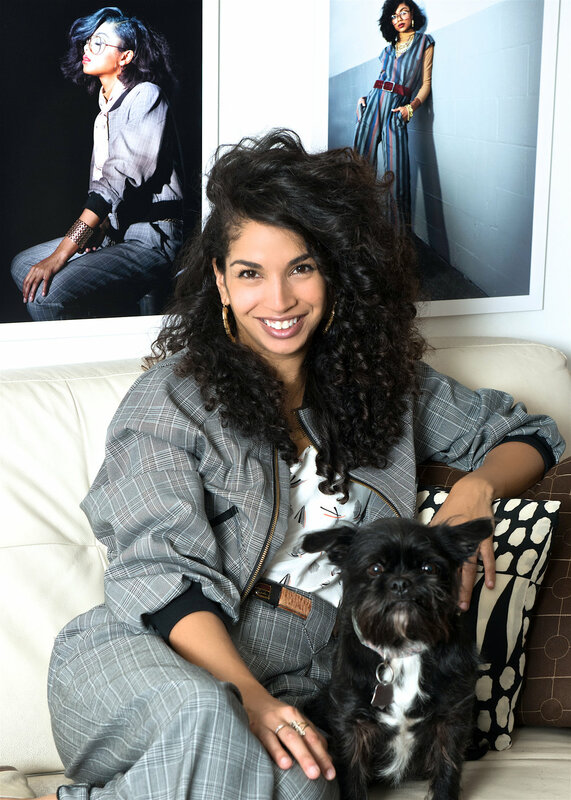 Since the collection's debut, Julianna Bass has received accolades from prominent U.S. and international publications including Vogue (Germany and U.S.), Women's Wear Daily and New York Magazine.